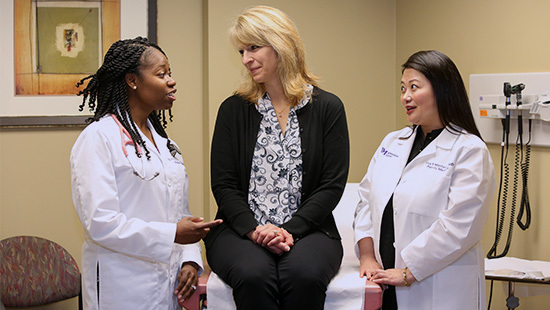 The principles of family medicine are taught at Northwestern University Feinberg School of Medicine in many settings, across the continuum of care. Comprehensive, continuous and coordinated care of patients in the context of the family and community is experienced beginning in the first year of the MD curriculum and extending through the third-year clerkships, including the required Primary Care Clerkship and the longitudinal Education-Centered Medical Home program. Browse a list of university-wide resources relevant to MD students who are interested in family medicine, including reading lists and student groups. 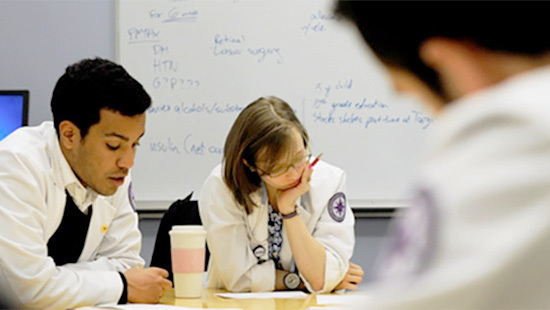 Our department offers a number of elective courses, focusing on both urban underserved and rural family medicine and in both Chicago and the western suburbs. Medical students at Feinberg organize and maintain a Family Medicine Interest Group to more fully expose their peers to the specialty. Students at Feinberg have a wealth of opportunities for community outreach. Volunteering at a community clinic offers students experience in providing care for the underserved and working with people who have diverse needs. The Augusta Webster, MD, Office of Medical Education is looking for Feinberg faculty to inspire future leaders by teaching in our MD program. We offer teaching formats and schedules that can accommodate your needs. We are committed to and inspired by a diverse and inclusive work environment. The Department of Family & Community Medicine seeks to attract inquisitive, motivated residents, faculty and staff and is committed to providing them with every opportunity for success.